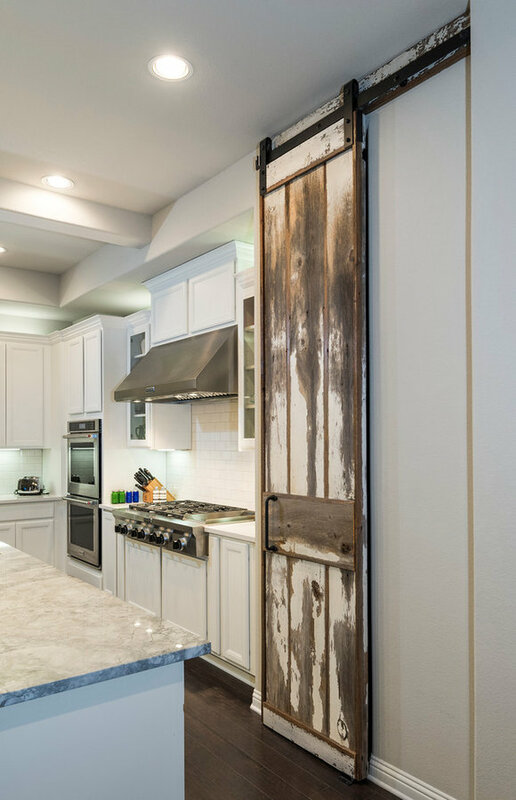 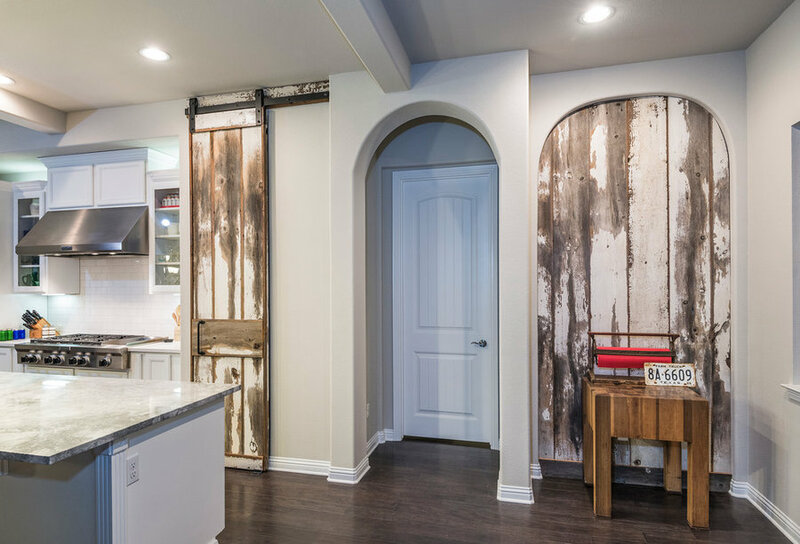 Rustic reclaimed barn wood for a tall slender pantry door. 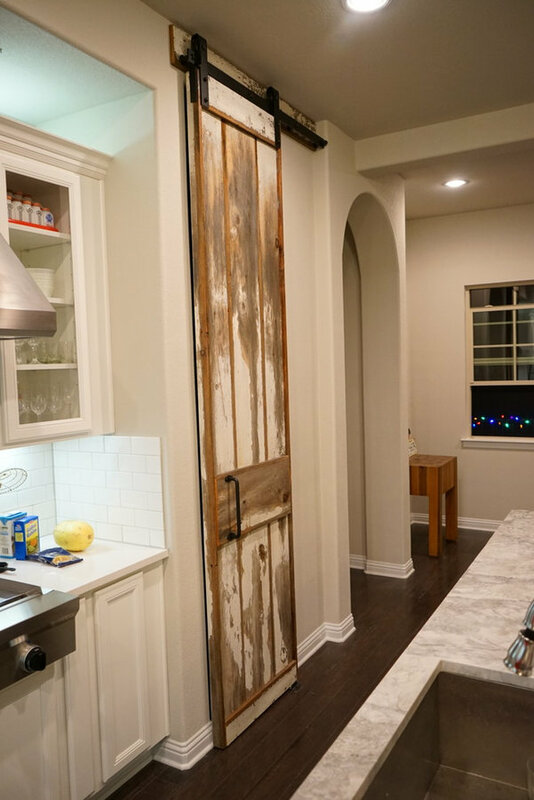 Rustica Hardware, clear shellac finish. 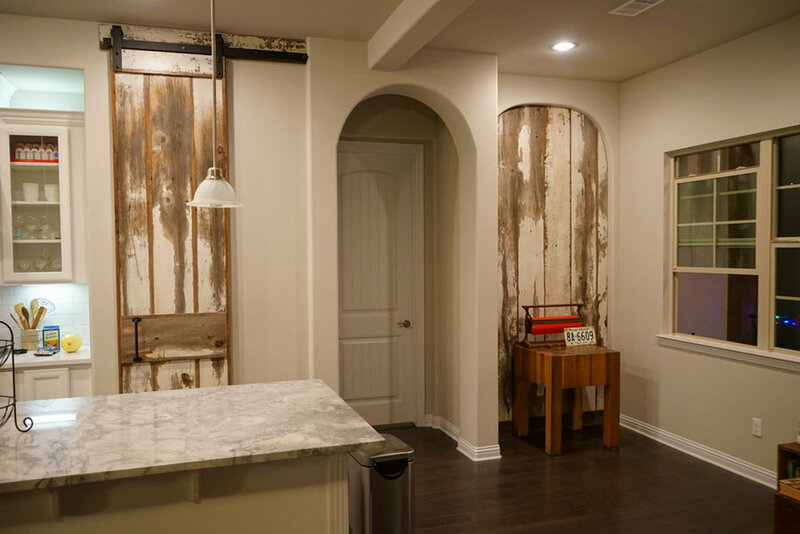 Added detail was created by installing additional reclaimed wood to kitchen nook area to link the spaces together.